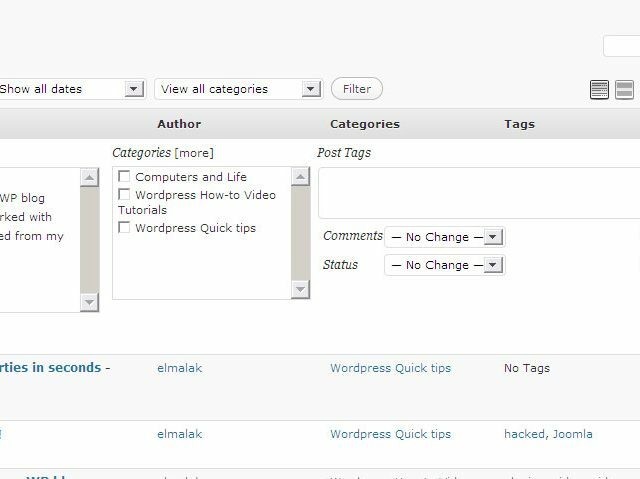 Images are a very important part of any site, and WordPress gives you a lot of control over your images, and it even added new features in WP 2.9 to make it even easier to control and edit without the need for any extra software. Click on the first button next to the Upload/Insert found above the text input area in the Edit Post screen, and this opens up another where you get to choose your file and then click upload. 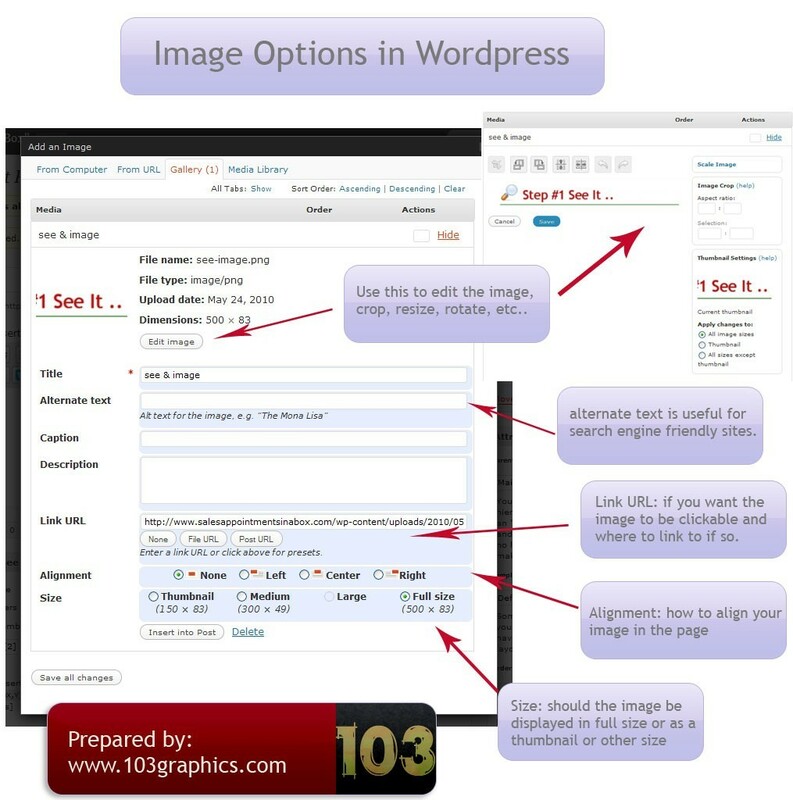 Once uploaded you can have full control over your images as see below( click on image to see in full size). Alt text: to make your images SE( search engine friendly). Alignment: Right, left, center or none. Size: To display image in full size or thumbnail or other size. Caption: the text the appears below the image. As you can see, full control over all aspects of your images.